Leizhan is a professional manufacturer of pulp and paper equipments, which committed to research and development. Round net yarn tube paper machine is one of those high quality equipments. Round net yarn tube paper machine is mainly used for making yarn tube cardboard. This round net yarn tube paper machine is mainly divided into the following parts: the round net section, the return press section, the press section, the drying section, and the winding section. 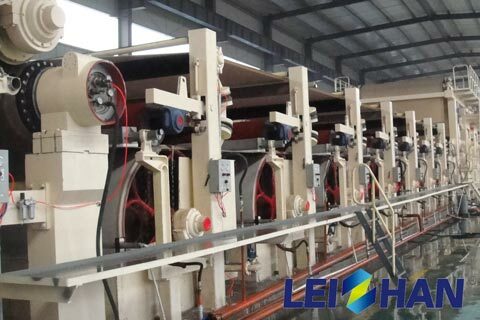 Expect this round net yarn tube paper machine, Leizhan can also provide other paper machines, like corrugated paper machine, kraft paper machine, tissue paper machine, culture paper machine, coating board paper machine and so on. Please feel free to contact us.